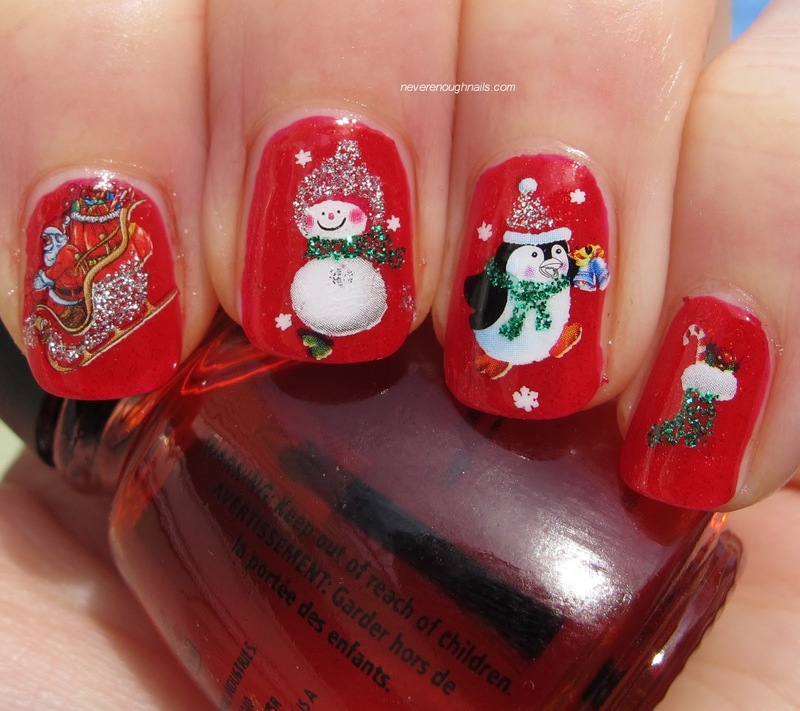 Never Enough Nails: Born Pretty Store Christmas Water Decals! 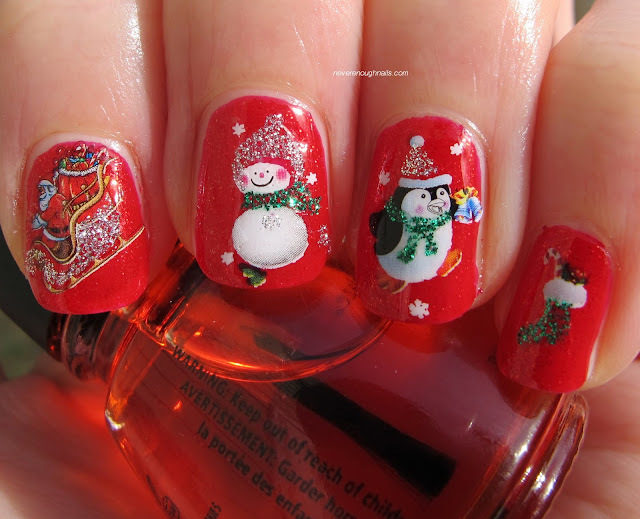 How's this for adorable Christmas nails?? I love these water decals from Born Pretty Store, my go-to place for nail art supplies, so much! 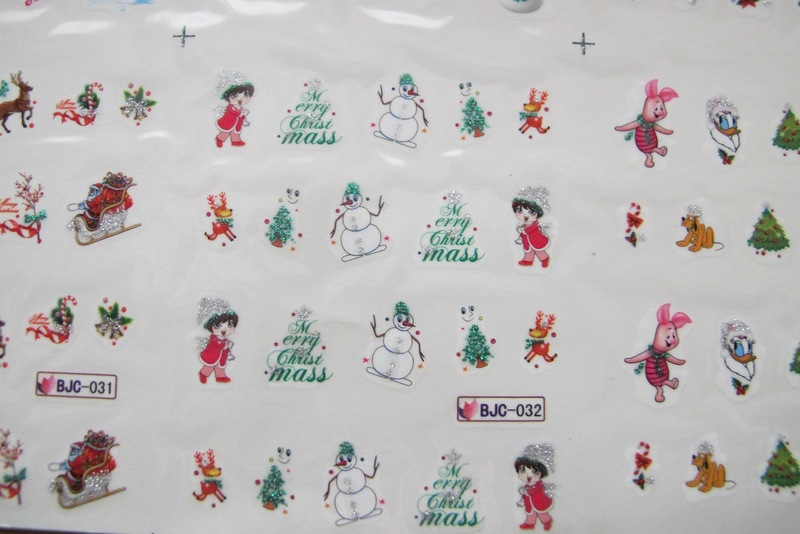 This one sheet of decals has a TON of different cute holiday designs. 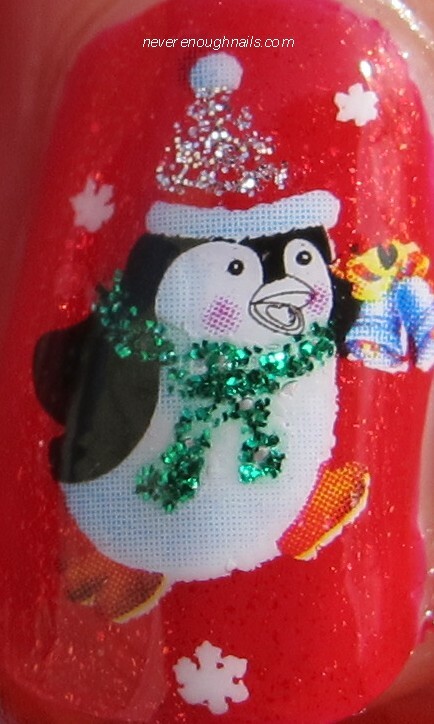 For this mani, I picked Santa in his sleigh, a snowman with a glittery hat, the cutest penguin ever, and a green sparkly stocking. OMG this penguin... so adorable. I love penguins! The base color for this look is two coats of OPI The Spy Who Loved Me, my current favorite shimmery red. These water decals are super easy to use. 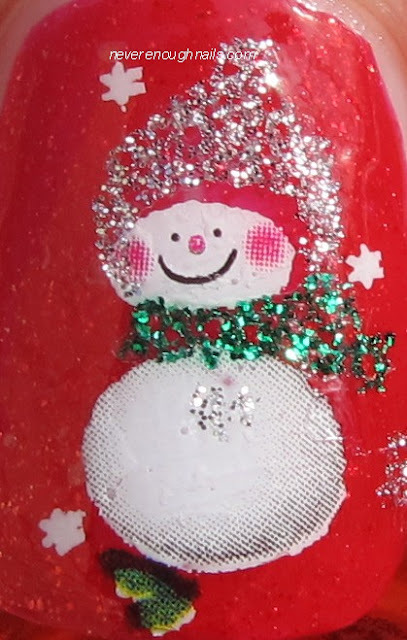 You just cut out the decal you want and remove the plastic sheet. Then, dip the decal in some water to detach it from the paper backing. 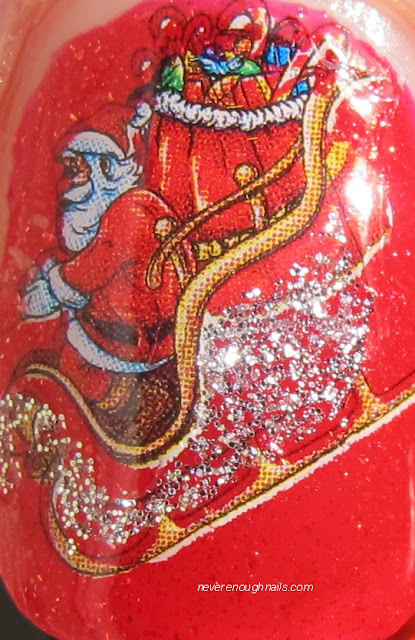 Apply the decal to your nail and apply your top coat of choice! Water decals are my favorite way to get cute nail art. I never seem to have enough time for stamping and all that jazz, so these are perfect for me. 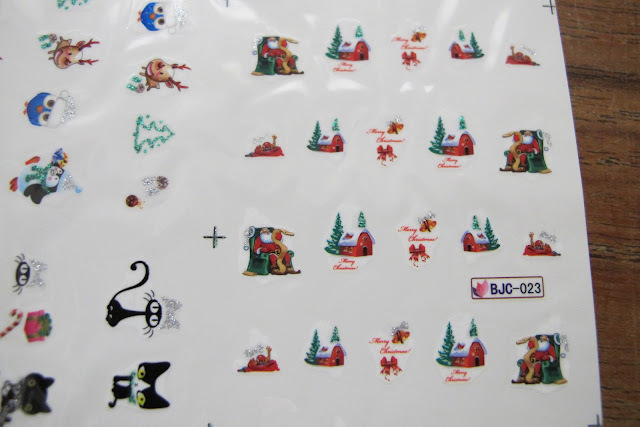 This one sheet of decals has so many cute designs, I had to take pictures of some of the others for you. There are some Disney characters on the right here, along with another snowman and an ice skating girl. "Merry Christmass" is also spelled wrong here, but hey, Born Pretty Store is in Hong Kong! There are other decals on the sheet where it is spelled correctly, so no worries. You will DEFINITELY be seeing a full mani with the cats in the lower left corner below. They ARE SO FREAKING CUTE! Overall, these water decals are both adorable and exceedingly easy to use. 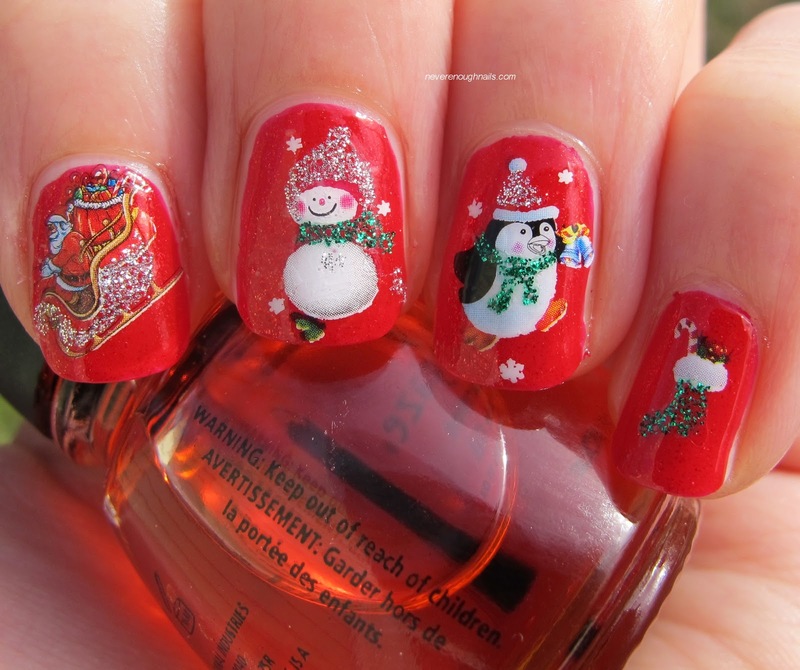 If you're looking for Christmas Nail Art for Dummies, here it is. I'm a little sad I couldn't get this posted in time for you to order these for Christmas, but I just received them the other day. Definitely order them for next year though! Plus, the black kitties are not all Christmas kitties, so they're good for the whole year. 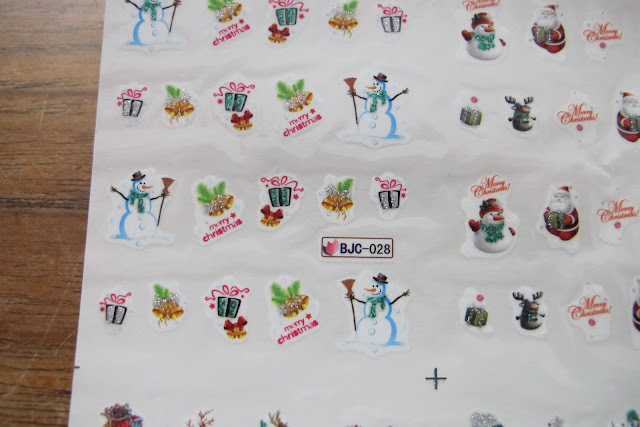 These water decals and many others are available online at Born Pretty Store. Don't forget to use the code "ERJ61" for 10% off your order!